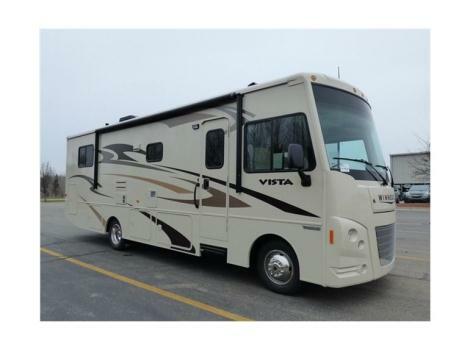 2018 Winnebago Vista LX 30T, Winnebago Vista LX class A gas motor home 30T features triple slides for added interior space, sleeping for six, and all the amenities you need while traveling.This class A coach features a wide open living area with dual opposing slides just behind the front cab seats that can swivel toward the rear for added seating. The slide to the right of the side entry door features a sofa bed. On the opposite side there is a slide out three burner range, and a dining table with chairs. A refrigerator is located to the left of the entry door along with a pantry for storage, adjacent to the dinette slide is a double sink, plus overhead cabinets for all of your dishes and things.Head toward the rear bedroom, you will walk through the bath area. There is a shower on the left and private toilet area with vanity and sink including overhead storage on your right.A folding door gives the rear bedroom a bit of privacy. There you will find a queen bed slide with nightstands and overhead storage, plus wardrobes and a storage cabinet, plus so much more! 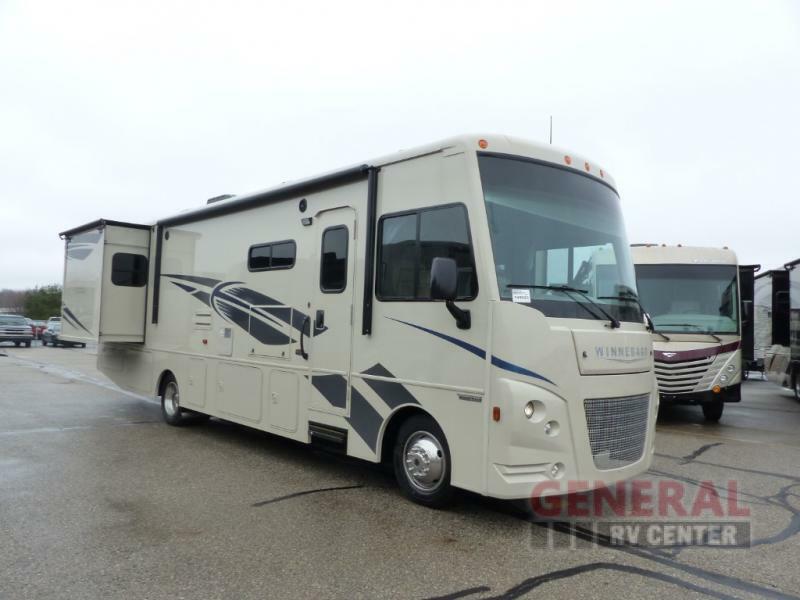 2017 Winnebago Vista 32YE, If you are looking for a king size bed slide out in the rear bedroom, a split bath, plus an additional slide in the main living area for more floor space then take a look inside the Winnebago Vista 32YE class A gas motorhome today. As you enter to your right you will see two swivel captain's chairs with a removable pedestal table between making this a cozy spot for your morning coffee. 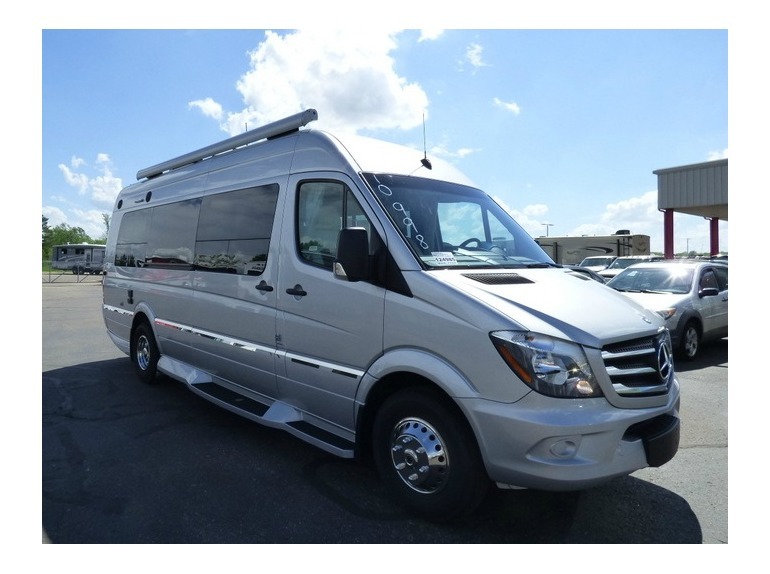 The road side slide out in the main living area provides a sofa bed and a booth dinette including seat belts allowing for five additional passengers. This area also provides sleeping space for family and friends. Plus you can relax and watch the TV located on the interior wall. On the opposite side you will find an angled double kitchen sink, three burner range, refrigerator, and a pantry. There are overhead cabinets for your dishes and things above the counter space. Heading towards the rear of the coach, the split bath provides a shower on one side, and a private room including a toilet and vanity with sink on the other side. Slide the door open to enter the rear bedroom. 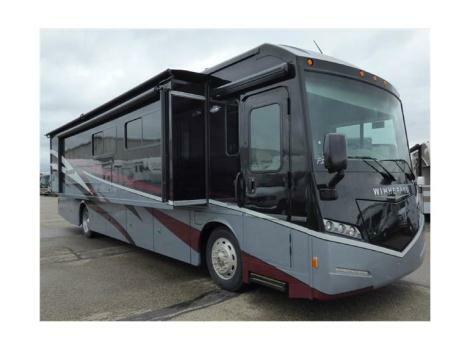 To your left there is a slide out king bed with nightstands and overhead storage. On the opposite you will find a wardrobe, chest of drawers, plus more! 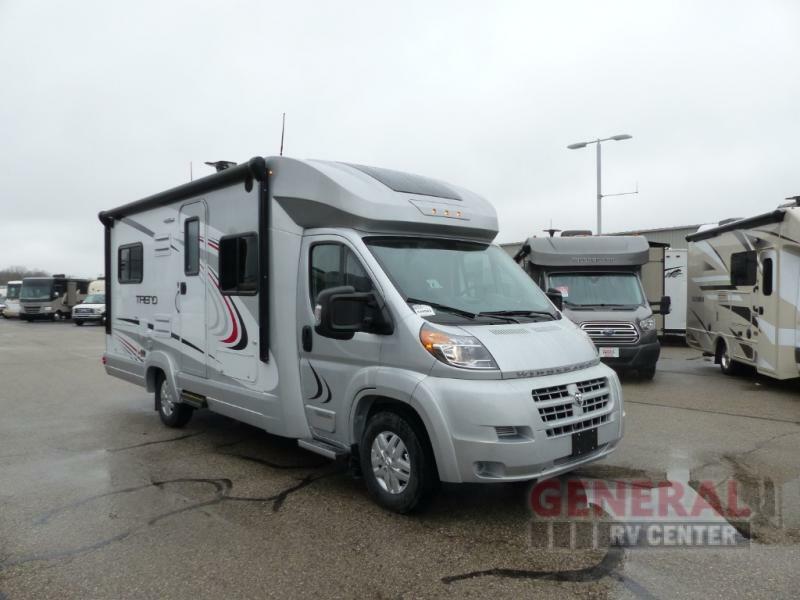 2017 Winnebago Trend 23L, This Winnebago Trend Class C gas motor home model 23L features sleeping for six with a StudioLoft bed including electric lift in front, a Flex Bed system, and rear double bed. 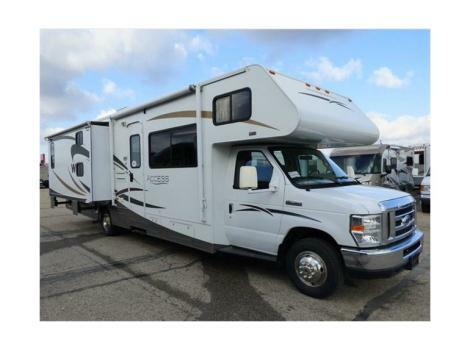 You will also find kitchen and bath amenities that allow you to camp comfortably whenever you wish to get away for awhile!Step inside and see a bench seat with safety seat belts to your immediate right. There is also a second bench seat and table directly across from it that is forward facing. These can be combined using the Flex Bed System to create a 51" x 87" sleeping space. There is a Studio Loft bed that can be lowered from the ceiling to create another sleeping space that is 51" x 78" if you need it.The kitchen area is centrally located and provides everything you need to prepare and cook food while you are away from home. There is a refrigerator, pantry, two burner range, and kitchen sink for easy cleanup. There is also an overhead cabinet for dishes and things. 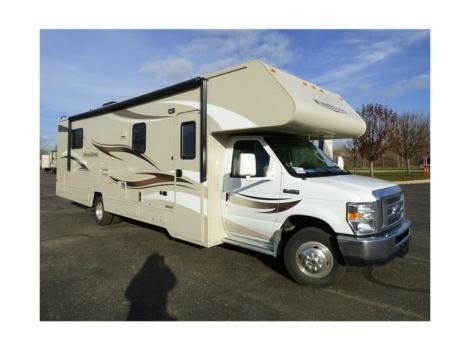 The location for a 24" HD TV is above the refrigerator.The rear of this Trend model 23L features a 49" x 75" bed for sleeping with side and front overhead storage cabinets. There is also a wardrobe located nearby on the other side next to the bath.The rear corner bath features a convenient shower, toilet, and corner sink, plus so much more! 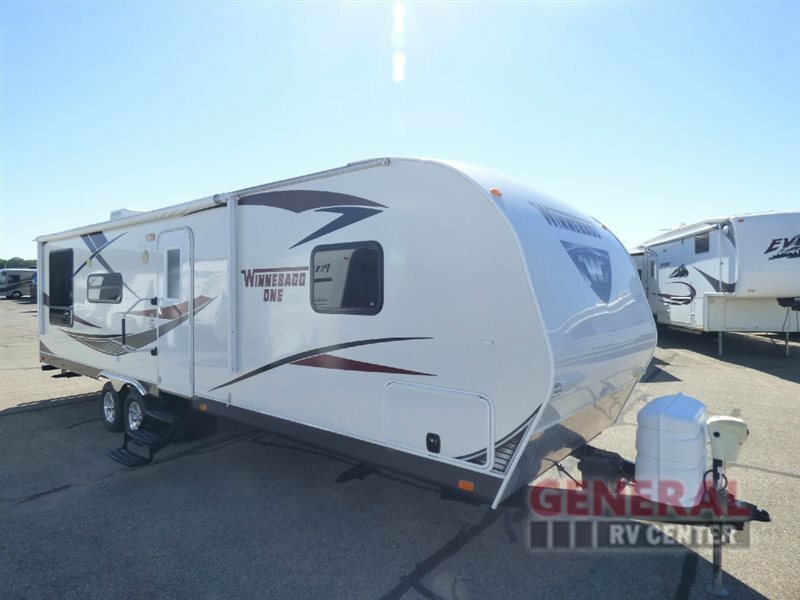 Winnebago Industries Towables ONE Travel Trailer w/Rear Entertainment Including: TV Cabinet, Sofa w/Overhead Storage & Booth Dinette Slideout, Refrigerator, Pantry, 3 Burner Range, Kitchen Sink, Counter Space, Lounge Chair, Side Aisle Bath w/Angled Shower, Toilet & Sink w/Med. Cabinet & Linen Cabinet, Front Queen Island Bed w/Shirt Wardrobes Above Nightstands, and Much More!? 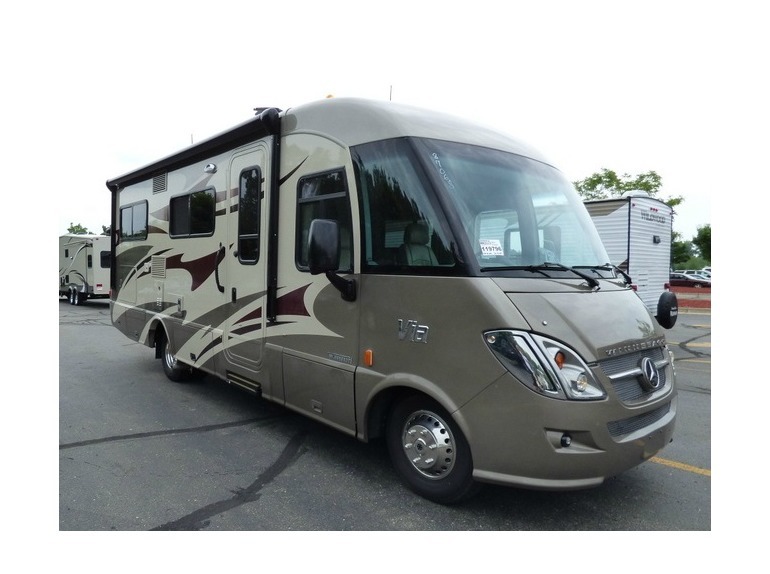 2016 Winnebago Era 70X, Step inside this Winnebago Era class B diesel touring coach and see how convenient your travels will be. Through the sliding doors you will notice a nice seating area up front. 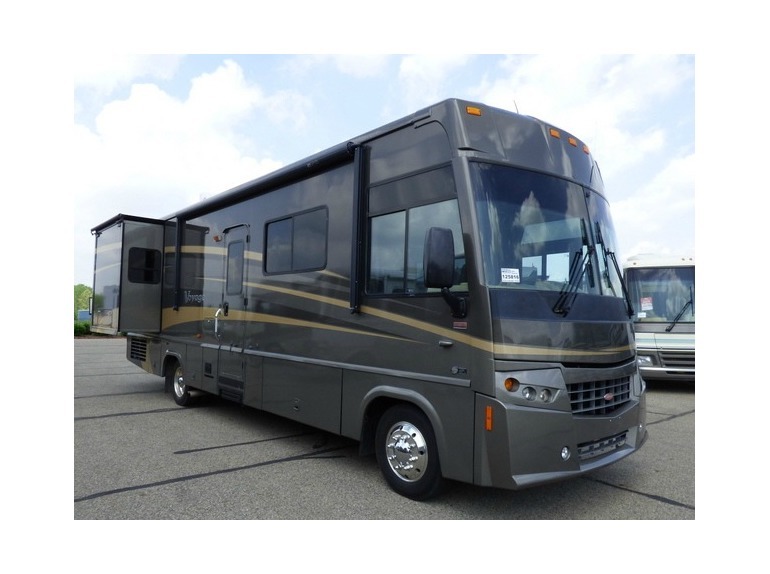 Two additional chairs, along with the cab swivel seats makes a nice seating area for you and your guests. There is a movable pedestal table for added convenience, as well as a removable storage/wardrobe cabinet too.A side bath/shower area is featured on the curb side behind bi-fold doors. Inside find a vanity with sink, and toilet. Opposite the bath there is a large counter area with two burner range top with refrigerator below, plus a round kitchen sink, and overhead storage, plus microwave oven too.In back find a shirt closet on the left, and a TV location on the right. 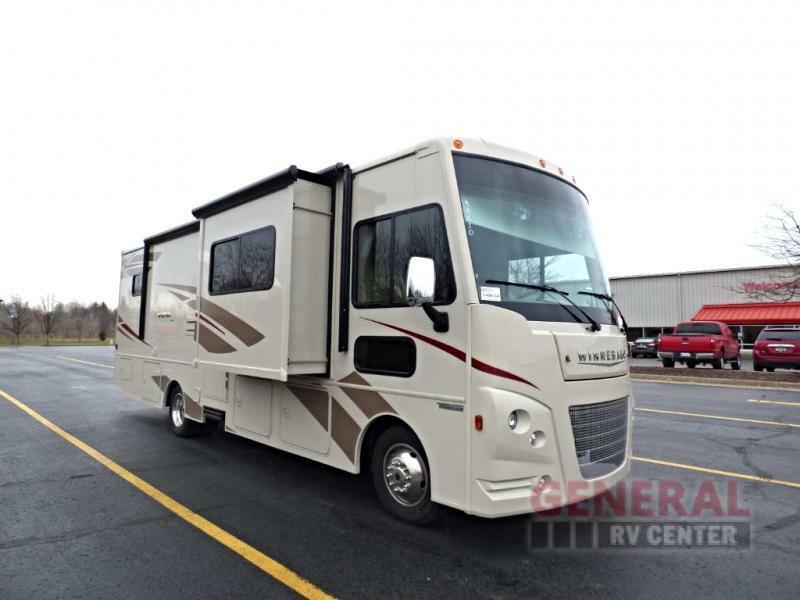 A large 70" x 80" sofa bed across the back makes into a king size bed for sleeping when you are ready to retire for the night. There is also an alternate location in the bedroom area where you can move the pedestal table to from up front. 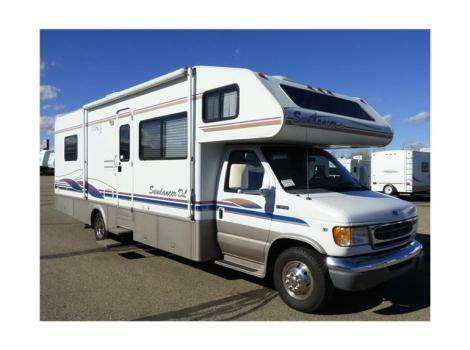 1998 Winnebago Sundance 31QB, Itasca Sundancer 31' class C motorhome with sleeping up to 7, generator, booth dinette, walk around queen bedroom, pantry, full basement exterior storage, private bathroom, cruise control, drivers door, engine A/C, AM/FM cassette stereo, main awning, microwave, oven, fantastic fan,and roof A/C. 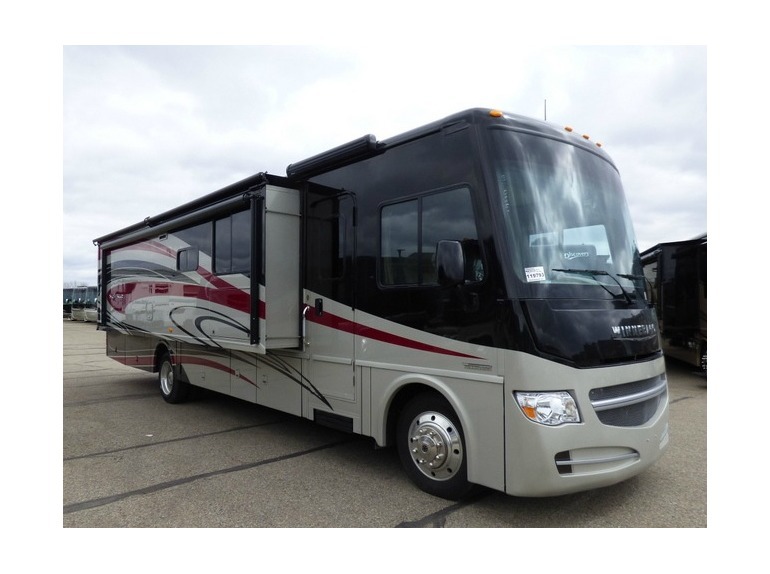 2015 Winnebago ERA 70A, Head out in this Winnebago Era class B diesel coach and have everything you need. 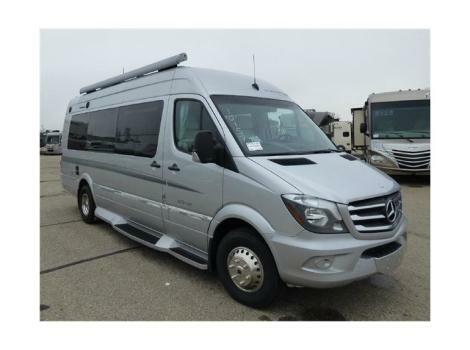 Enter through the sliding door on the passenger side and find a seating area with the cab seats swiveled around. There is a place for a removable pedestal table between the two. The perfect place to enjoy your morning cup of Joe! A 36" x 66" sofa bed for one is found straight ahead through the sliding door as well. To the left of the entrance there is a TV location, a two burner range top with glass cover, a round sink, overhead cabinets, and the refrigerator is found opposite next to the sofa bed. There is also a small storage cabinet next to the refrigerator. A side bath/shower area is located along the road side and features a toilet, and sink with bi-fold doors. A handy wardrobe for your clothes is located opposite. In the rear find two twin beds that can easily create a larger bed put together using the Flex Bed system. 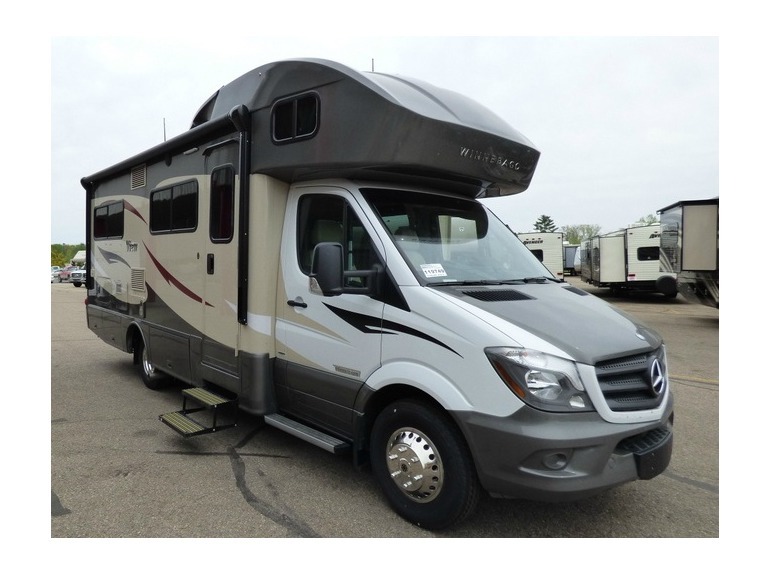 The twin beds are 29" x 75" and with the Flex Bed insert between you can have a 68" x 75" king size bed, plus so much more!